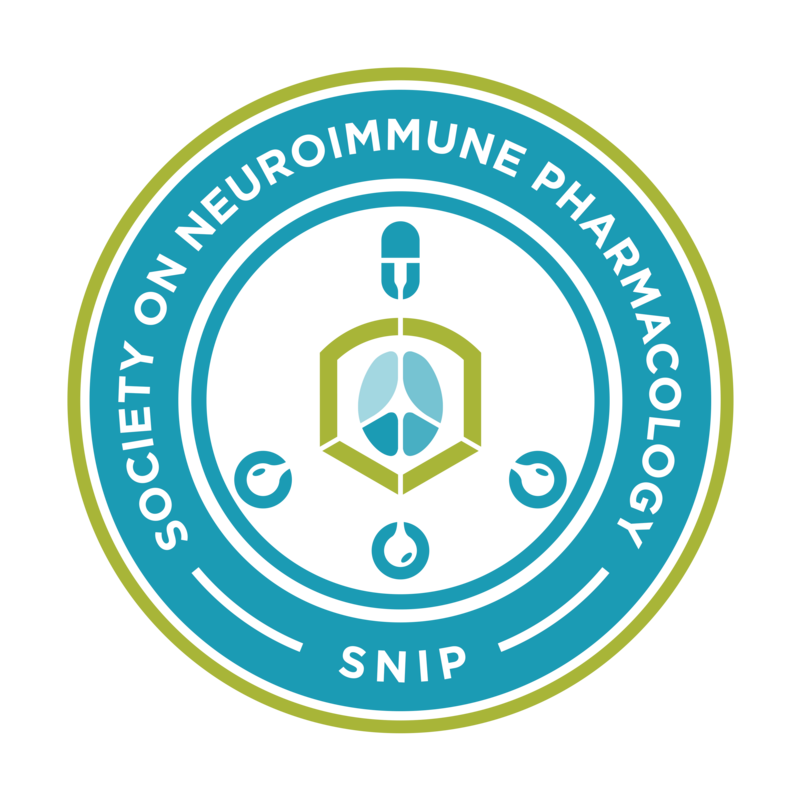 Welcome to the Society on Neuroimmune Pharmacology web site (collectively, the "Site") which is owned by the society ("SNIP"). This Site is operated by SNIP and materials on the Site are owned, for the most part, by SNIP. The Site may also include materials owned by third parties and posted on the Site by virtue of a license, grant or some other form of agreement between the third party and SNIP. SNIP reserves the right to modify or amend this Agreement without notice at any time. It is therefore important that you read this page regularly to ensure you are updated as to any changes. The reproduction, duplication, distribution (including by way of email, facsimile or other electronic means), publication, modification, copying or transmission of material from this Site is STRICTLY PROHIBITED unless you have obtained the prior written consent of SNIP or unless it is expressly permitted by this Site. The material covered by this prohibition includes, without limitation, any text, graphics, logos, photographs, audio or video material or stills from audiovisual material available on this Site. The use of materials from this Site on any other web site or networked computer environment is similarly prohibited. Requests for permission to reproduce or distribute materials found on this Site can be made by contacting SNIP in writing at legal@s-nip.org. You are welcome to post, transmit or submit messages and other materials (which include uploading files, inputting data or any other materials or engaging in any form of communication in connection with this Site (collectively "Messages") to bulletin boards, chat rooms or other public areas within, or in connection with, this Site (collectively "Forums"). However, SNIP accepts no responsibility whatsoever in connection with or arising from such Messages. SNIP does not endorse and has no control over the content of Messages submitted by others to Forums. Messages submitted to Forums are not necessarily reviewed by SNIP prior to posting and do not necessarily reflect the opinions or policies of SNIP. SNIP makes no warranties, express or implied, as to the content of the Messages in the Forums or the accuracy and reliability of any Messages and other materials in the Forums. Nonetheless, SNIP reserves the right to prevent you from submitting Materials to Forums and to edit, restrict or remove such Messages for any reason at any time. SNIP assumes no responsibility for actively monitoring Forums for inappropriate Messages. If at any time SNIP chooses, in its sole discretion, to monitor the Forums, SNIP nonetheless assumes no responsibility for the content of the Messages, no obligation to modify or remove any inappropriate Messages, and no responsibility for the conduct of the user submitting any Message. In submitting Messages to Forums, you agree to strictly limit yourself to discussions about the subject matter for which the Forums are intended. You agree that SNIP accepts no liability whatsoever if it determines to prevent your Messages from being submitted or if it edits, restricts or removes your Messages. You also agree to permit any other user of this Site to access, view, store or reproduce the material for that other user's personal use and not to restrict or inhibit the use of the Site by any other person. You agree that any Message whatsoever submitted by you becomes the property of SNIP and may be used, copied, sublicensed, adapted, transmitted, distributed, publicly performed, published, displayed or deleted as SNIP sees fit. You agree to release SNIP, its parents and affiliates together with their respective employees, agents, officers, directors and shareholders, from any and all liability and obligations whatsoever in connection with or arising from your use of Forums. If at any time you are not happy with the Forums or object to any material within Forums, your sole remedy is to cease using them. SNIP does not knowingly accept unsolicited submissions including, without limitation, submissions of scripts, story lines, articles, fan fiction, characters, drawings, information, suggestions, ideas, concepts, research proposals, or textbook article ideas or commentatary. SNIP's policy is to simply delete any such submission without reading it or forwarding it to other SNIP staff. Therefore, any similarity between an unsolicited submission and any elements in any SNIP creative work would be purely coincidental. If unsolicited submissions are sent to SNIP via this Site, however, these submissions become the property of SNIP and may be used, copied, sublicensed, adapted, transmitted, distributed, publicly performed, published, displayed or deleted as SNIP sees fit. You agree that you are not entitled to any compensation, credit or notice whatsoever and that by sending an unsolicited submission you waive the right to make any claim against SNIP, its parents or affiliates relating to unsolicited submissions, including, without limitation, unfair competition, breach of implied contract or breach of confidentiality. If you are interested in creating hypertext links to this Site, you must contact SNIP at legal@s-nip.org before doing so. In establishing hypertext links, you must not represent in any way, expressly or by implication, that you have received the endorsement, sponsorship or support of this Site or SNIP, including its respective employees, agents, directors, officers and shareholders. If SNIP has provided links or pointers to other web sites, no inference or assumption should be made and no representation should be implied that SNIP is connected with, operates or controls these web sites. SNIP takes no responsibility for third party advertisements which are posted on this Site, nor does it take any responsibility for the goods or services provided by its advertisers. While SNIP does its best to ensure the optimal performance of the Site, you agree that you use this Site and rely on material contained in this Site at your own risk. The Site, and all materials in this Site, are provided "as is" and, to the fullest extent permitted by law, are provided without warranties of any kind either express or implied. This means, without limitation, that SNIP DOES NOT WARRANT that the Site is fit for any particular purpose; that the functions contained in the materials in the Site will be uninterrupted; that defects will be corrected; that the Site is free of viruses and other harmful components or that the Site is accurate, error free or reliable. You acknowledge that SNIP, its parents and affiliates together with their respective employees, agents, directors, officers and shareholders, IS NOT LIABLE for any delays, inaccuracies, failures, errors, omissions, interruptions, deletions, defects, viruses, communication line failures or for the theft, destruction, damage or unauthorized access to your computer system or network. You acknowledge that SNIP is not liable for any defamatory, offensive or illegal conduct or material found in connection with this Site, including such conduct or material transmitted by any means by any other person. You acknowledge that SNIP is not liable for any damages, including, without limitation, direct, incidental, special, consequential or punitive damages, in connection with or arising from your use or from your inability to use the Site. You agree to defend, indemnify and hold harmless SNIP, its parents and affiliates together with their respective employees, agents, directors, officers and shareholders, from and against all the liabilities, claims, damages and expenses (including reasonable attorney's fees and costs) arising out of your use of this Site; your failure to use the Site; your breach or alleged breach of this Agreement or your breach or alleged breach of the copyright, trademark, proprietary or other rights of third parties. SNIP reserves the right to immediately terminate your use of, or access to, this Site at any time if SNIP decides at its sole discretion that you have breached this Agreement or any relevant law, rule or regulation or you have engaged in conduct that SNIP considers to be inappropriate or unacceptable. This Agreement is governed by, and construed in accordance with, the laws of the State of Atlanta without giving effect to any principles of conflicts of law. You agree to submit to the exclusive jurisdiction of the courts of the State of Atlanta or, if appropriate, the United States District Court in and for the Central District of Atlanta for resolution of any dispute, action or proceeding arising in connection with this Agreement or your use or non-use of the Site, and you further irrevocably waive any right you may have to trial by jury in any such dispute, action or proceeding.